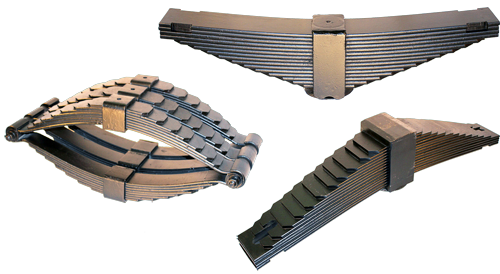 Locomotive / Railcar | Dendoff Springs Ltd.
Dendoff Springs manufactures a wide variety of Coil and Leaf Springs for Locomotives, Rail Cars and Trains. If you need help finding the right spring for rolling stock and locomotives, contact us. We have a good selection of in-stock springs and suspension components ready to order. If we don’t have it in stock, we will custom manufacture the spring to your exacting specifications. To get your coil or leaf spring faster, let us know if you are placing an emergency order. Coil Springs Compression, Extension, and Torsion Springs from .008″ diameter wire up to 3″ diameter bar stock.